What Are Ron Paul’s Liberal Fans Thinking? For anyone moderately familiar with Ron Paul’s record, it shouldn't come as a surprise that a litany of racists, anti-Semites, conspiracy-theorists, and militia members back his presidential campaign. Paul, after all, has spent decades cultivating the support of the far-right, not least by publishing for years a newsletter steeped in bigotry. (Read my 2008 article “Angry White Man,” for ample evidence.) Much more disconcerting is the fact that so many prominent liberals have been eagerly lining up behind Paul’s candidacy. Unfortunately, this isn’t an aberration, but a telling indication of the skewed political priorities of many on the left. The consumer advocate and sometime presidential candidate Ralph Nader was one of the first prominent liberals to offer Paul support, telling The American Conservative in September that there exists a “foundational convergence” between progressives and libertarians like Paul. 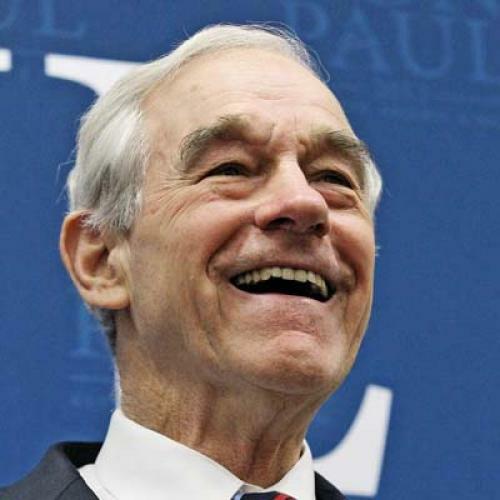 “Ron Paul has always been anti-corporate, anti-Federal Reserve, anti-big banks, anti-bailouts,” Nader said. He has since been joined by others on the left, including the editor and publisher of The Nation, Katrina vanden Heuvel. “I have big problems w/Ron Paul on many issues. But on ending preemptive wars & on challenging bipartisan elite consensus on FP, good he's in,” she tweeted on December 30. But it’s not just prominent progressive writers who are neglecting to grapple with Paul’s record and ideas. A Public Policy Polling survey conducted in Iowa a week after the media drew renewed attention to his bigoted newsletters found that Paul’s favorability rating among Democrats increased from an already surprisingly high 59 percent to 70 percent. The same poll found that Paul enjoyed a remarkable 68 percent favorable rating from voters who identify as “very liberal.” Indeed, among all Iowans, it was the “very liberal” voters with whom Paul was most popular. Not bad for a man who wants to eliminate Medicare and Social Security, opposes the 1964 Civil Rights Act, has warned of “a coming race war,” and believes that legalized abortion is unconstitutional. The problem is that Paul does much more than challenge the bipartisan consensus on the uses of American power. Indeed, by backing Paul and allowing themselves to be seduced by his vision of an American empire run amok, liberals are also rejecting their own proud tradition of foreign engagement. In a Paul administration, we wouldn’t only see an end to wars like the one in Iraq. It would mean an end to any humanitarian intervention at all, no matter how grave the circumstances. Also gone would be foreign aid: All of it. If Paul had his way, he would also eliminate all the sources of American “soft power,” from USAID to the Peace Corps to Voice of America. Nor would there be any promotion of international human rights, not even notionally, in a Paul administration. Paul has voted against awarding the Dalai Lama the Congressional Gold Medal; forget even meager statements of support for dissidents in Iran or Burma, never mind sanctions or visa bans on officials who commit abuses. These are policies that ought to have liberals worried. Instead, however, Robert Scheer, a contributing editor to The Nation, blames Paul’s critics for “attempting to marginalize his views beyond recognition.” But who is doing the marginalizing here? Paul has praised accused Wikileaks source Bradley Manning—charged with the capital crime of “aiding the enemy”—as a “true patriot.” In 2009, Paul appeared on Iranian state-funded television and referred to Israel’s embargo of the Hamas-controlled Gaza Strip as a “concentration camp.” Last year he attacked President Obama’s order to execute Osama bin Laden as “absolutely not necessary.” And he continues to speak regularly before the John Birch Society, an organization so reactionary that William F. Buckley Jr. wrote it out of the nascent conservative movement that he was building—in 1962. The truth is, Paul has marginalized himself. And to the extent that liberals embrace him—whether from genuine enthusiasm, or cool calculation—they are doing the same to themselves. Correction: This article was edited to correct the spelling of a name: The editor of The Nation is Katrina vanden Heuvel, not Katarina vanden Heuvel.